Dr Flis Lawrence looks at ways in which you can address the perception of workplace under-performance. Funnily enough, research has found that our professional reputation tends to develop as a consequence of how others perceive our behaviour (actions), and to a lesser extent, what we say. Perhaps even more curiously (and yet critically), people evaluate us by how well our behaviour compares to their own values and beliefs. Our values and beliefs literally set the standards by which we evaluate ourselves, and others. What this suggests is that there is an enormous potential for most of us to be completely oblivious about how other people’s values and beliefs impact our professional reputation. Interestingly, unless we experience a life-changing event and are forced to think about our core values and beliefs, most of us react to events without thinking too deeply about why we reacted a certain way. Indeed, if you asked a friend, partner or a work colleague, ‘What is your core personal value?’ you’d probably hear something vague that suggests: To be treated the way I treat others. Given the above claims, this bland statement is both hazy and fraught with ambiguity. Within this context it’s probably unsurprising that most of us would experience quite a shock when, after spending years in an organisation and earning our professional reputation, we unexpectedly hear our (possibly new) boss telling us that we’re an under-performer. ‘How did this happen?’ we ask ourselves, stunned. Then, once our brain kicks back into life, we ask ourselves, ‘What the h*** do I do now?’. Strategies to recover your professional reputation and performance status. Strategy 1. Planning and delivering your rebuttal. One strategy is to rebut the performance rating. This works best when you know you have evidence substantiating your previous performance rating, plus evidence that the process itself breached your employer’s duty of care. That is, the process may have violated an employment (labour) or occupational health and safety (Work Safety) policy or law, or performance management regulation. In most countries, an employer’s duty of care is to protect the physical and psychological health, safety and welfare of their employees and other people who might be affected by their business. This includes implementing procedures to do whatever is reasonably practicable to ensure employees do not suffer physical or psychological injury or illness while at work. The rebuttal process (which you can get HERE) starts with a planning phase, which includes gathering your evidence and validating its efficacy against the allegations. Then, once you’re clear as to the advocacy of your claims, you formally seek Natural Justice. Strategy 2. Story-telling and re-branding. Another strategy to counter-act reputational or performance status is to reframe the claims through storytelling. This technique is as old as Shakespeare. Basically, you start telling lots and lots of people lots and lots of stories that re-educate them about who you are, what you stand for, and your personal brand. You talk about what you’re doing now and how you’re doing it (branding), and the difference you’re making to people and the workplace (context). What are the best stories to share? Well, the best stories to share are ones that show how you created significant value by your intervention, output or guidance. These stories need to demonstrate how your intervention, output or guideanc aligned to the workplace vision and mission, and that you stand for excellence. Strategy 3. Re-set the clock. Another strategy is to reset the clock and negotiate a career re-boot with the key decision maker. For example, after helping two of my direct reports land promotion, another a choice secondment, and waving good-bye to another two on maternity leave, I was stunned to find myself accused of having too much turnover in my section. I was marked as under-performing. In digging around, I discovered that my immediate boss had been undermining me behind my back. Once I cleared this up with my boss’ boss (I laid out my evidence against the claims), I suggested that, given this issue had eroded my trust in my immediate boss that I might be better placed in a different area with a different boss (who I had researched), and got back on track. Needless to say, after hitting one of these speed-bumps, it’s critical to set up a system whereby you can clarify, confirm and re-confirm exactly what sort of performance your boss is expecting, either verbally or by emails etc. And to occasionally check-in with the key decision maker. I have a PhD in organisational social psychology from the Faculty of Education, QUT (+BA SSc & Dip PM), and 25 years experience in private, military and government workplaces. I help leaders, HR and workers quickly spot and safely stop toxic behaviours and grow respectful cultures to boost workforce well-being, engagement and potential faster. Contact me at [email protected], or follow me on LinkedIn Twitter or Facebook. Browse hundreds of jobs in health and safety, brought to you by SHP4Jobs, and take your next steps as a consultant, health and safety officer, environmental advisor, health and wellbeing manager and more. Or, if you’re a recruiter, post jobs and use our database to discover the most qualified candidates. 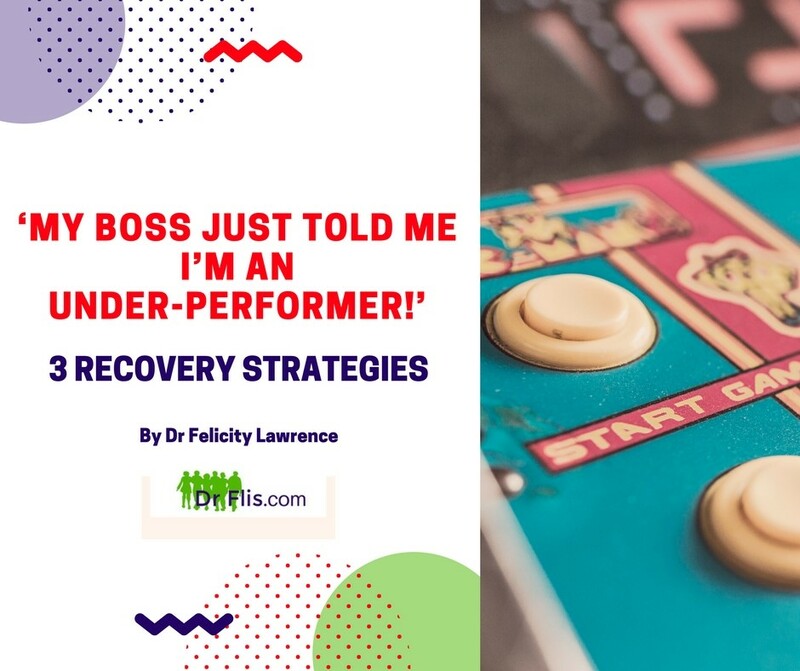 Three recovery strategies when a boss claims you’re an “under-performer” How should we react when our boss claims we are under-performing? Dr Flis Lawrence helps out. An excellent article! A friend of mine emailed this to me and it’s helped my son, who’s faced a similar predicament. Dr Flis has a BA SSc and a PhD in organisational social psychology and is passionate about helping people who lead and work in organisations create better workplace experiences and improving work cultures. Get free resources and tactics on appropriately dealing with negative online and offline workplace behaviours at www.drflis.com or contact Dr Flis at[email protected] or LinkedIn. 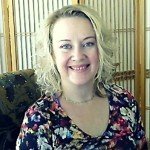 You can also follow Dr Flis on her blog Twitter or Facebook.